Construction and engineering law and arbitration law. Admitted as an attorney in 1982. 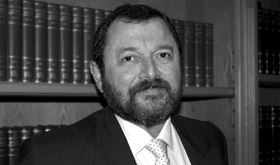 Partner at Godfrey Rabin & Partners until 1986 when Godfrey Rabin & Partners merged with Werksmans, continued as a partner at Werksmans until 1991 when called to the Bar. Have had experience in all spheres of the law of contract, insolvency law, insurance law and general commercial law, and now specialise in construction and engineering law and arbitration law.